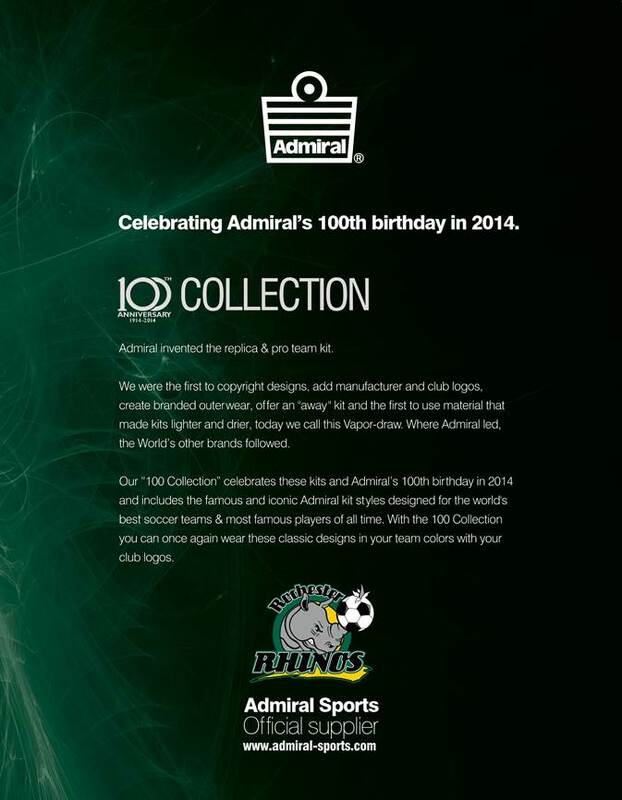 Rochester Rhino's have unveiled the Club's ADMIRAL home kit for the 2014 USL Pro League season. The USL is a "feeder" league for Major League Soccer in the USA providing most of the players within the MLS draft. 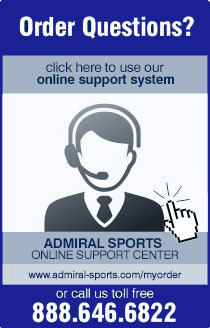 ADMIRAL has been supplying the Club with official technical and replica kit and training wear since 2012. The Rhinos' 2014 home kit features all of the technological excellence expected from a ADMIRAL kit, including Vapour Draw technology for improved player performance. Vapour Draw technology enhances body performance by dragging moisture away from the body, improving air-flow and keeping the body at the ultimate performance temperature. Meanwhile, the interlock fabric offers 4 way stretch and freedom of movement. Pat Ercoli, General Manager of the Rhinos said: "Creating a design which is new and different while staying faithful to the Club's iconic Gold and Forest Green stripes is a challenge but ADMIRAL have done an excellent job. The new home kit design and feel has been well received by the players and I'm sure supporters will enjoy wearing it." Paul Hamburger President of ADMIRAL, added: "Our challenge was to celebrate the rich history of this great club and use all of our apparel knowledge and innovation to enhance player performance on the pitch." Players will wear the kit first home game of the new campaign against Dayton Dutch Lions on April 11th. The Club sponsor Bimbo remains on the Gold and Forest Green stripes.